Can I just tell you how much fun I had this last weekend? As many of you know, I have been out of town for over a week now. I decided to take the plunge and head out to Utah for SNAP blog conference! And we decided to make a whole trip out of it too! 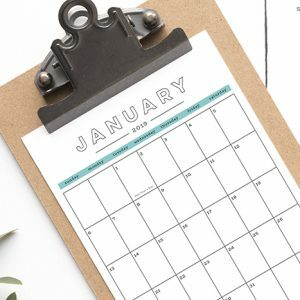 I have been to blog conferences before, and SNAP ranks up there as one of my all-time favorite blog conferences and I can’t wait to tell you all about it! But first I need to give a stinkin’ HUGE shout out to both HomeRight and MirrorMate for making my SNAP blog conference experience possible! They both were sweet enough to partially sponsor my trip and I will forever be so grateful to them! In case you don’t already know, I am a blog ambassador for HomeRight! They make some pretty amazing tools and I absolutely love their company and their tools! 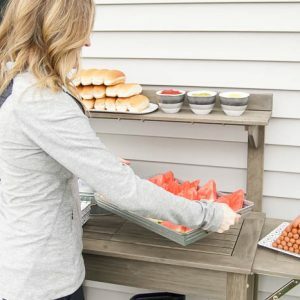 A few of my favorite projects I have done using their tools includes Staining Our Deck and our DIY Plank Walls. I also love their SteamMachine and their Paint and Stain FinishMax Spray Gun! Their tools rock! I have a few amazing projects in the works too! MirrorMate makes really neat mirror frames that are so simple to install! You pick a mirror frame style, send your dimensions and they send you the pieces to easily, simply and quickly install a beautiful mirror frame over your existing bathroom mirror! I have installed a mirror frame in my kid’s bathroom (see here) and I am really excited to announce that I am working with them again on our huge master bathroom remodel! Woot woot! Now, on to the conference. If you are a blogger, I highly recommending attending a blog conference. 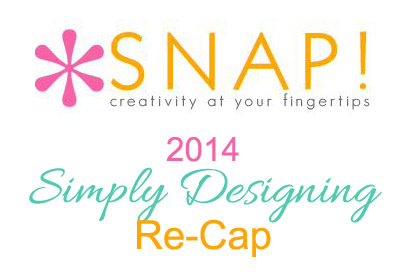 SNAP is perfect for creative bloggers and I am so happy I was able to be a part of it this year. It is a full 3 days packed with classes, keynotes and parties! And I had a great time, but I am still recovering from it! Maybe I am getting old, but it wore me out! It was totally worth it though! 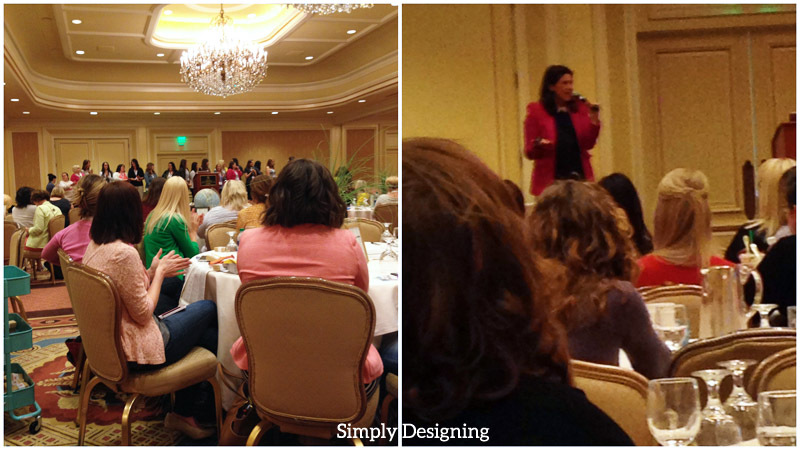 There were some great speakers and some fabulous topics talked about at SNAP. I loved being able to learn from other people’s experiences. Classes at blog conferences are definitely a great way to expand your knowledge and get other ideas for how to do things. One of my favorite classes was a Google analytics class where I learned how to navigate around the space a bit more then I knew how to before. But I also truly enjoyed a class that was taught by Miriam from HomeTalk, Donna from Funky Junk Interiors and Heather from At the Picket Fence. There were many good classes and just the atmosphere of being in the presence of other like-minded-people, sharing and learning is a wonderful environment to be in! We had the opportunity at SNAP to eat and learn! We had some fabulous speakers and entertainment during our meals there including Noelle Pikus Pace and Alex Boye. 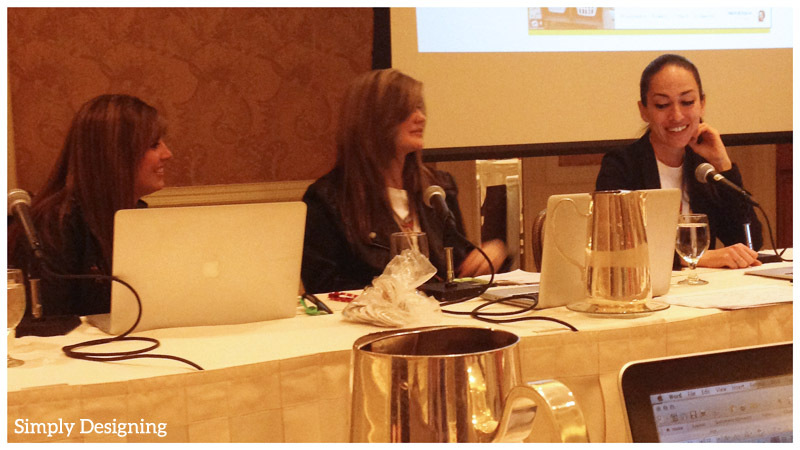 Even though neither of them are bloggers, they both are inspirations and listening to their story was simply amazing! One of my favorite parts about SNAP is simply meeting people! And there are several companies who I have worked with in the past who were in attendance! It was incredible to be able to meet people in person who I have only ever known through email! There was a great line-up of sponsors at SNAP and I was honored to meet people I already “knew” and new people too! Along the lines of meeting people, this is perhaps the most fun part of a blog conference. 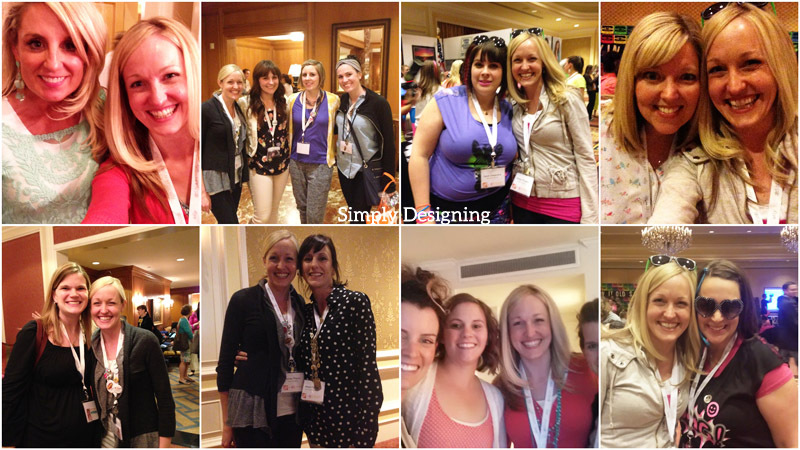 Simply networking with other bloggers! I really do love getting to know people and honestly, you can not find a nicer bunch of 520 people then you will at a blog conference like this! I felt at home and it was great to be among people who understood what I do day in and day out every day for my job. Who struggle for “balance” and who try to make the most of all they have been given. It was amazing to share knowledge, swap stories, rejoice in success and come together as a wonderful blogging community. The last year has been a bit crazy (see more here). But I have never in my life had so many “strangers” come up to me, hug me and ask me how I am doing. Because they really, truly wanted to know how we were doing after our loss. I was grateful for the questions that were asked, I was grateful for the hugs, and I was just so grateful to be around such amazing women. If there is one thing I have learned over the last year, it is that blogging is a community! Other bloggers mourn when you mourn; your loss is their loss. Other bloggers rejoice when you succeed and good things happen to you! And most bloggers want to lift each other up, help each other out and that is an amazing crowd of women to be surrounded by. I watched groups of people expand their circle to welcome in a new person. I saw strangers invite another stranger to sit with them at a meal so they wouldn’t have to sit alone. I watched the kindness and generosity of so many people and it truly touched my heart. Bloggers are awesome! Perhaps one of my favorite things I participated in was a The Home Depot Charity Build! 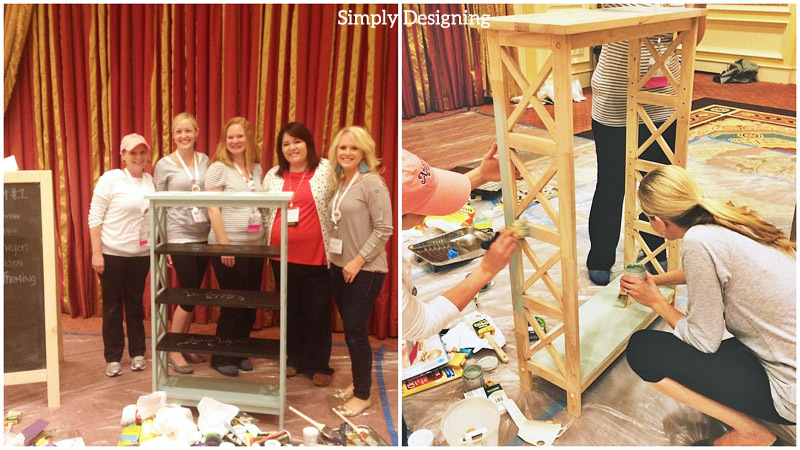 There were 25 women chosen to paint 5 pieces of furniture to give to a family who needed it. This sweet mother and daughter are getting their first home from Habitat for Humanity but had nothing to furnish it with except the mattress that they both share. Their story is touching and one that makes me tear up and I was so grateful to be able to be able to be a part of this amazing project! I had an amazing time working with 5 fabulous ladies, and I my heart was touched knowing that I was doing good. I am grateful for the opportunity I had to go to SNAP. 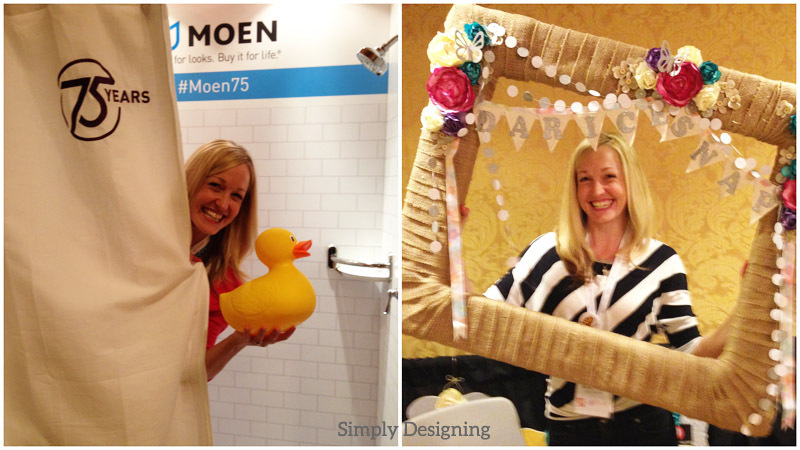 To meet vendors and bloggers in real life (who I had known online only before) was so much fun! To be able to hug and greet and get to know such a wonderful group of people is an experience never to be forgotten. I learned a lot and hope to be a better person and a better blogger because of it. Thanks to MirrorMate, HomeRight and my amazing family for making it possible for me to go! You are all the best! And now…it’s time to sleep! I&#39;m sorry we didn&#39;t officially meet, Ashley! I&#39;m sure we passed each other somewhere. I just was overwhelmed with all the faces, kind of like a giant mix and match puzzle! Brooke! I am sad we didn&#39;t catch up either! I agree…I was overwhelmed by so many people too! Next time we need to meet up!